Present: Lee ZL2AL, Mike ZL2MY, Wally ZL2MO, Bert ZL2OC, Revell ZL2SS, Dave ZL2MQ, Stan ZL2ST, Rob ZL2US, Jan ZL2CZE, Dave ZL2DW, Peter ZL2CD, Rob ZL2AN and Karl ZL1TJ. Minutes of the previous meeting: read and confirmed correct: ZL2MO, ZL2MY. Thank you note from Mike G7MRY regarding his visit the previous club meeting. Received by both Jan and Lee, a thank you from The Sotherlunds AG6KR and AG6KQ of South Dakota regarding their visit on 4 December 2013. Finance: Accounts were tabled, $100 deposit for hire of the Nelson Park Cricket Club building for the 5th of April Hamfest and $20 for various expenses, Payment moved ZL2ST, ZL2AL. A brief report by Stan and Lee on this year’s Field day contest. The event clashed with the Napier Art Deco weekend. Lee operated from home and Stan from the Clubrooms for a limited time to ensure Branch 25 participation. Rob, ZL2US reported on the Branch 13 ‘Debbie Day’ event on Saturday 1st of March. 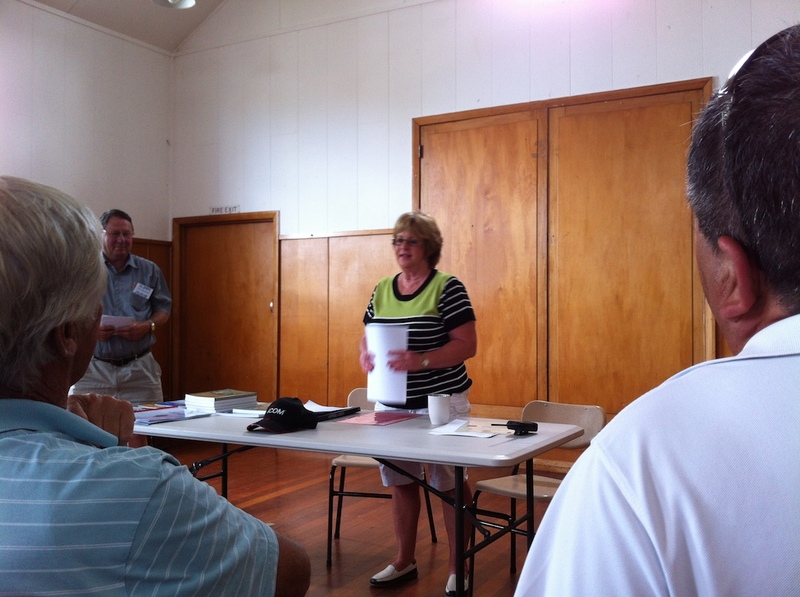 Debbie Morgan, business manager of NZART and councillor Warren ZL2AJ explained the latest news from NZART. The meeting was well attended by some 35 members and was followed by a BBQ. Lee introduced Mr Peter Breen ZL2CD, who recently renewed his amateur radio licence. Peter was originally licensed some 45 years ago and has now decided to become active again. Lee then presented further developments and preparations for the 5th of April Hamfest. The Nelson Park Cricket Club pavilion has turned out to be perfect in all ways and has been booked. Catering will be done by the Cricket club kitchen staff. The adjacent Napier Pipe band parking area would be perfect for the Car boot sale, Laurie to approach the club for permission. Publicity is underway, Lee having emailed all club secretaries in the North Island. Attendance is the main unknown at present, the pavilion can cater for 60 to 70. Various tasks and logistics were discussed. Mainly thanks to Lee’s ongoing and concerted effort the Hamfest is shaping up to be a successful and fun day. Followed by Laurie ZL2TC’s presentation of the now ready for action club construction project, the dual band, fiberglass enclosed, 2m / 70cm antenna. Laurie’s final design, after much experimentation and testing, is a half wave end fed vertical on 2m, doubling as a collinear with 3dB gain on 70 cm. Laurie presented the completed antenna and several kitsets ready for assembly. The kitsets are to be advertised at $50. Club members will get a discount (Of course). Of those present 4 or 5 indicated interest, initially 10 or so kitsets will be assembled locally. 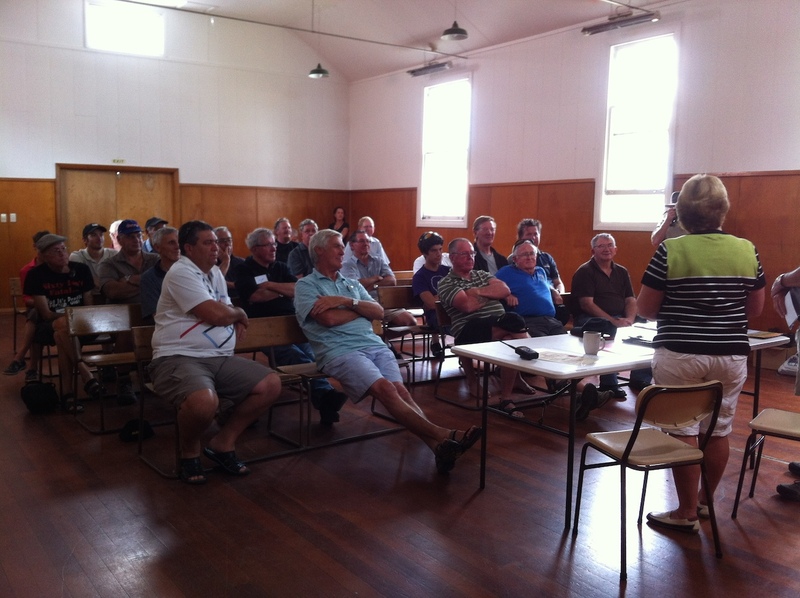 The Hawke’s Bay Amateur radio Club organized a “Debby Day” on Saturday 1st March. The occasion was to meet and greet Debby Morgan ZL2DM from NZART Headquarters. It was also a chance to have a social gathering of many local hams for some fun and a BBQ provided by Rob ZL2US, President of the HBARC. Debby spoke at some length about her career in nursing and switching to be secretary of NZART and her role as secretary and ARX for our association. She also stressed how vital it is for our membership to continue increasing. Debby led a discussion on the current finances of NZART which triggered further discussions and suggestions on future directions and initiatives for NZART. Several local hams joined the association after her talk. Rob, ZL2US thanks Debby for her visit and very informative talk. A BBQ followed and a great time was had by all.